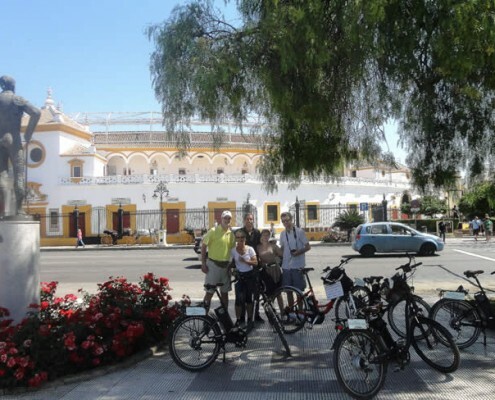 The most original and entertaining way to discover Seville. 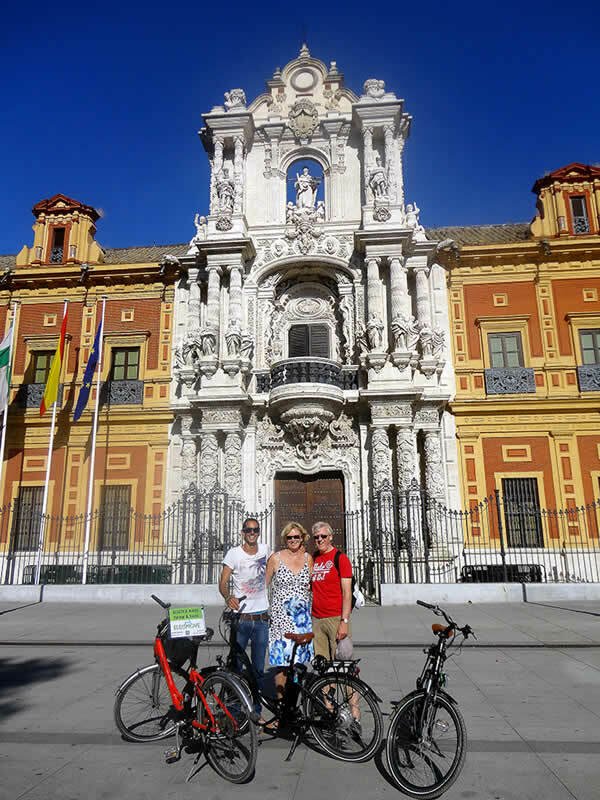 In small groups or in a private tour, ELECMOVE offers you different bike tours and you will choose the one that fits the best with your plans. 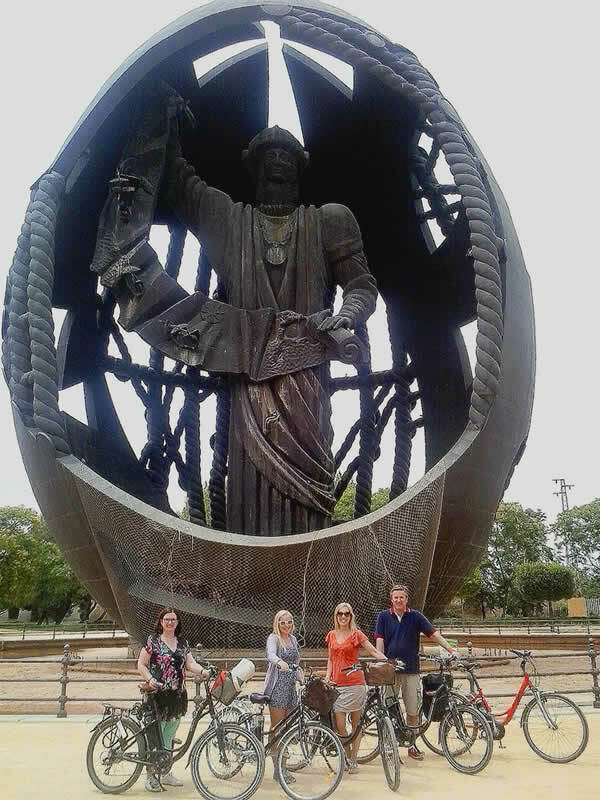 The perfect tour to explore and discover the monumental Seville. 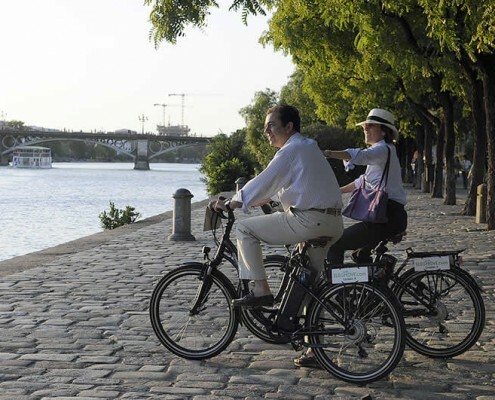 The best among the bike tours in Seville. 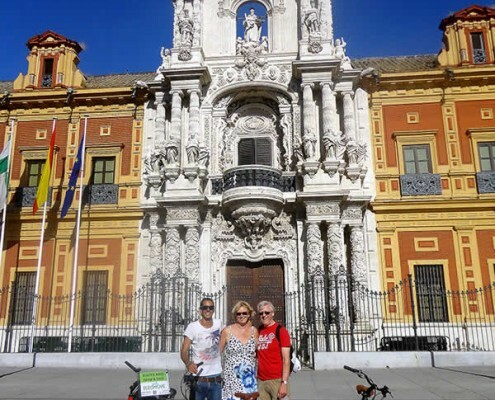 It takes you through the most well-known and emblematic monuments of Seville. 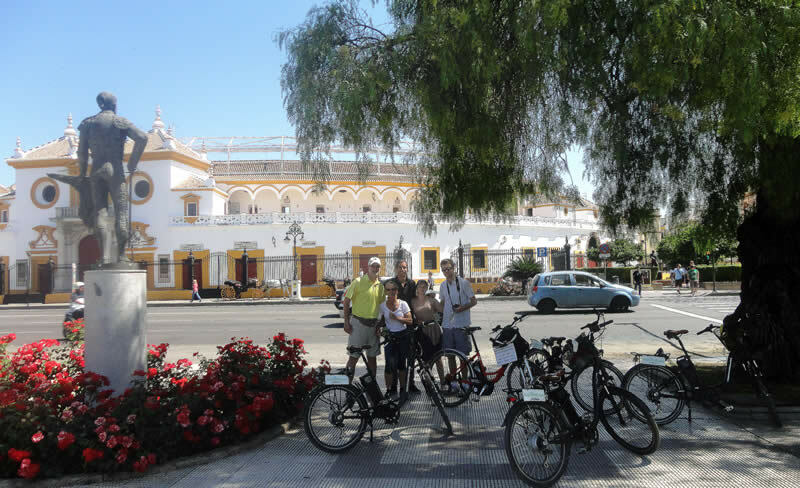 In this bike tour you will get, in a fun and relaxing way, an entertaining overview of Seville and its history. 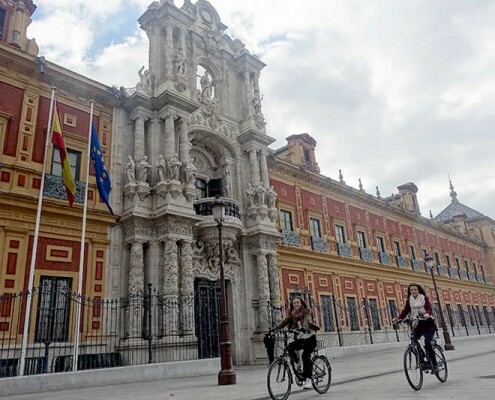 Places of Interest: Giralda, Cathedral, Indian Archive, Alcazár, Royal tobacco factory, Golden tower, Park of Maria Luisa, Plaza de España, Plaza America, Palace of San Telmo,… All in this tour! For other languages CONTACT US. Discover a “hidden”, but also impressive part of the city. 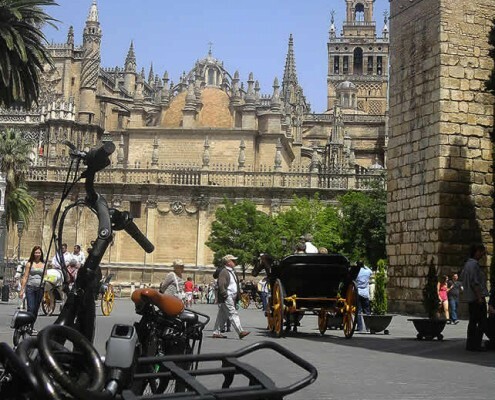 Different from other bike tours, on this tour you will travel 10 centuries through the history of Seville, enjoying the river Guadalquivir to visit places that not many people see, but that can be reached easily with our electric bikes. Places of Interest: Golden tower, Cartuja de Sevilla, EXPO 1992 with it’s impressive design bridges, Egg of Columbus, Macarena neighborhood, old city walls, Alameda de Hercules or Metropol Parasol. 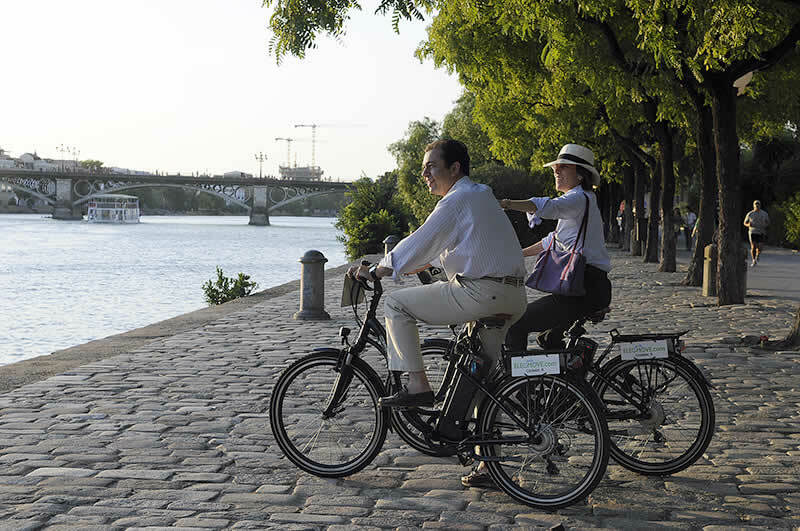 You’ll travel from the 11th century all the way to modern days, in an extensive, but relaxed tour. 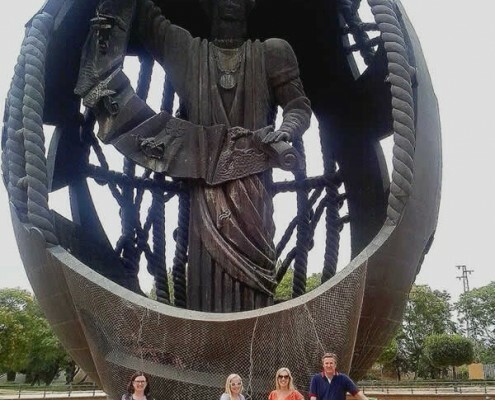 A unique tour to the impressive ruins of Itálica! 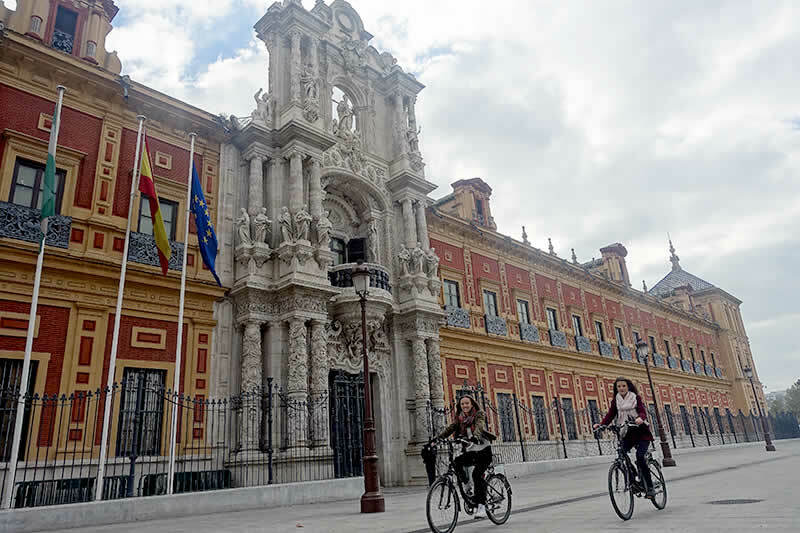 Leave Seville behind for a while, to enjoy the impulse of our electric bikes, to visit the old roman city of Itálica, with its spectacular amphitheater and impressive mosaics. Places of Interest: EXPO 1992, Monastery of San Isidoro del Campo and the roman ruins of Itálica. Discover the illuminated face of Seville: nightfall in the monumental city! 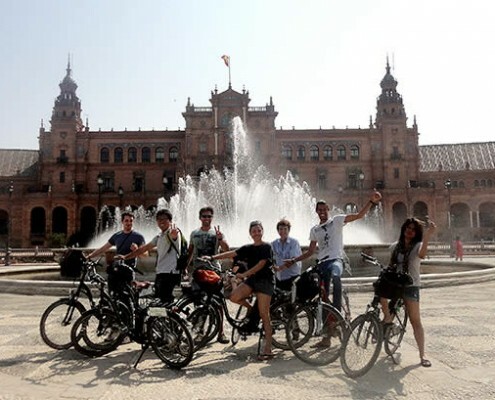 In this tour we will visit – under the falling sun and the illumination of the city lamps- the most emblematic monuments of Seville under a magic light. 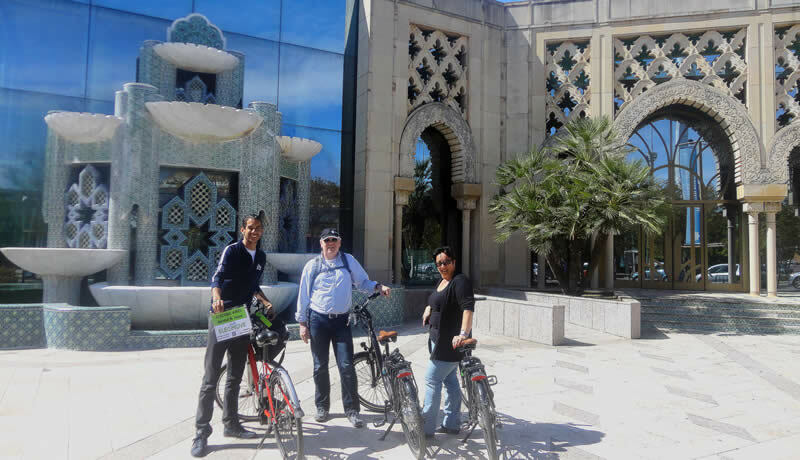 A tour to discover a different face of our city. Places of Interest: Giralda, Cathedral, Indian Archive, Alcazár, Tobacco factory, Golden tower, Park of Maria Luisa, Plaza de España, Plaza America, Triana. 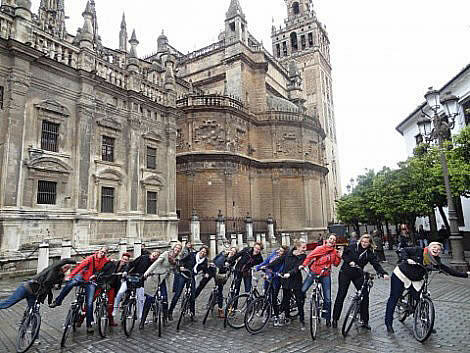 In this combined tour you will not only visit the most important monuments of Seville, to discover its history, but also you will get appetite to enjoy some “tapas” in three authentic tapas bars. 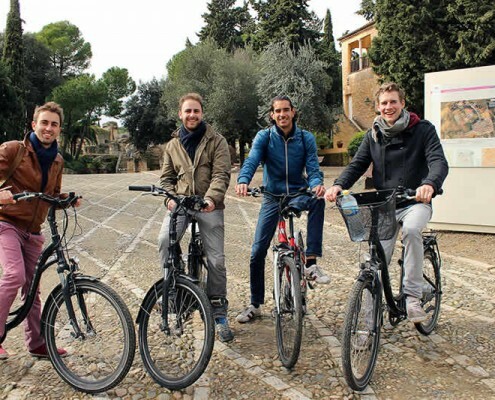 An exclusive tour that combines fun, culture and gastronomy. 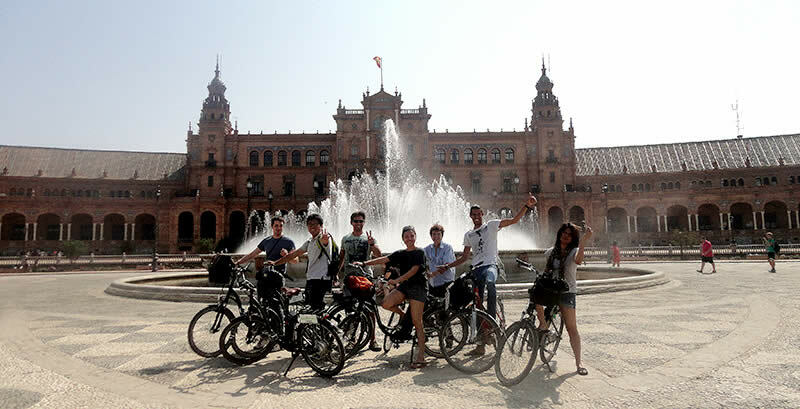 Enjoy Seville with your group, when you want and with a guide exclusively for you. 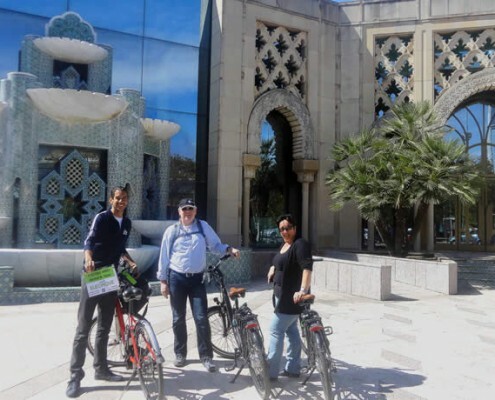 If you need to organize a plan for your company, your friends or your family… or if you simply are looking for an exclusive service, at ELECMOVE we organize tailor-made tours. 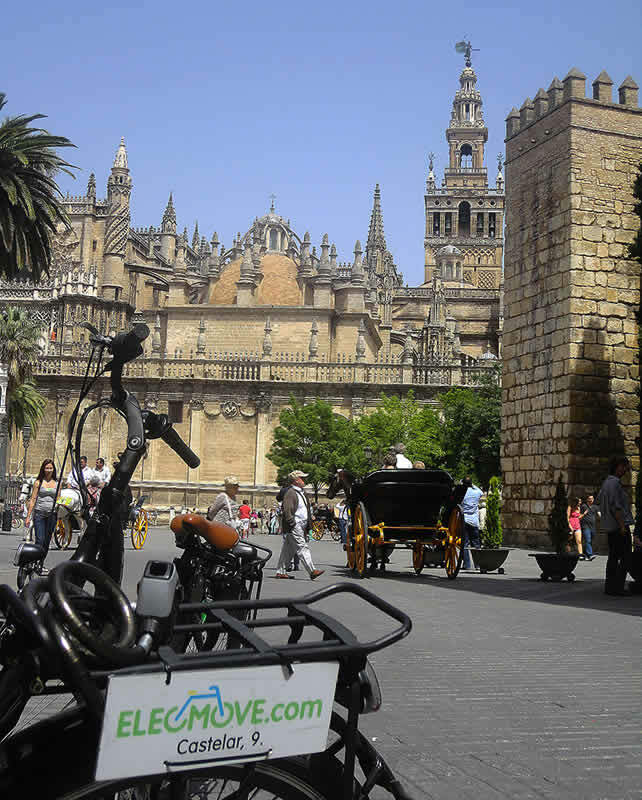 Enjoy Seville with the tour that best fits your needs, with your own monitor, in your language and at the time that is most convenient for you. To ensure our best service, RESERVATION IS REQUIRED. The most important thing for ELECMOVE is that YOU have an unforgettable experience with us.